Veteran power metallers THY MAJESTIE was formed in 1998, will release their long-waited fifth album "ShiHuangDi" through Scarlet Records on September 25th. The album marks another important chapter in the band’s career, this time dealing with the life of the legendary Shi Huangdi, who became the first emperor of a unified China in 221 B.C. 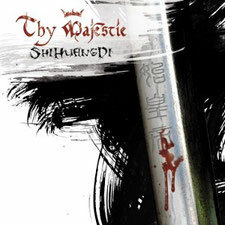 "ShiHuangDi" will see Thy Majestie returning to their trademark sound, made of epic atmospheres, massive orchestral and operatic parts, most of all genuinely devastating metal. 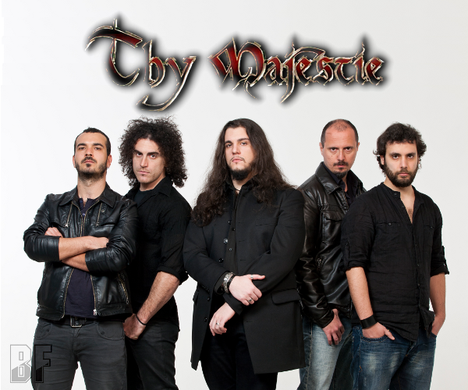 It features a renowned singer Fabio Lione (Rhapsody of Fire, Vision Divine and Kamelot) on the song "End Of Days" as a special guest. "ShiHuangDi" Japan version includes "What I've Done" (LINKIN PARK cover) as a bonus track, has set to be released on October 17th.